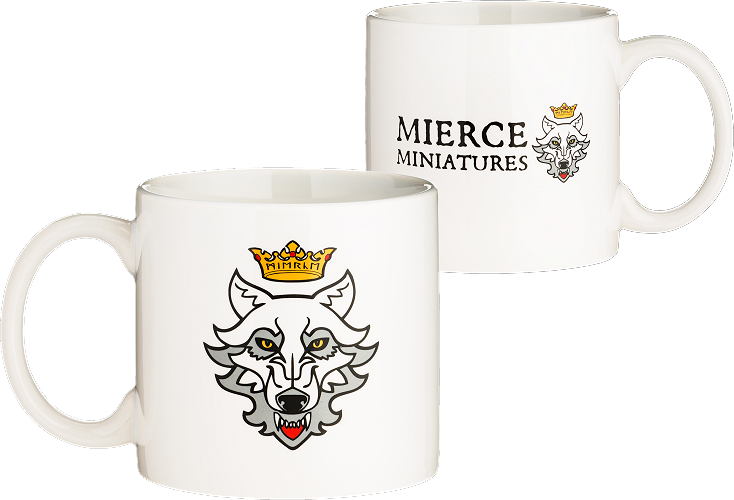 Give yourself a teabreak brain fuel boost with the Mierce Miniatures Wulf Pint Mug! Featuring the Mierce Miniatures logo on one side and the Mierce Wulf icon on the reverse, this chunky mug will be the envy of your friends. Note that this mug only serves tea. It won't have any of that coffee nonsense.